Are you looking around for HVAC companies in Oakdale MN? You can stop right here because Prescription Heating & Cooling has you covered! We are one of the best HVAC companies; Oakdale MN residents have been using our services for years now, and we truly believe that smaller is better. Because we aren’t a big corporate group like some HVAC companies out there, we can do the job faster, more efficiently and at a lower cost because we don’t have to answer to a corporate center. Instead, we just take care of our customers’ HVAC needs without all of the red tape. Give us a call today to see how we can help you with any Oakdale MN residential or commercial HVAC needs you might have! No matter what time of year it is, it’s never a good time to have your HVAC unit break down. Thankfully, Prescription Heating & Cooling can come to your rescue! As one of the area’s best HVAC companies, we’ve seen just about everything. 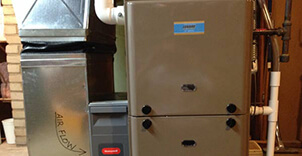 Is your heating unit blowing cold air? Is your air-conditioner blowing hot air? Is your HVAC unit not draining properly or running at all? Don’t worry because we can help! 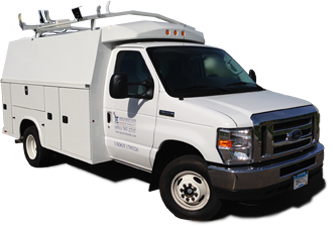 Not only do we offer repair services seven days a week, but we even have an after-hours emergency line. When one of our experienced technicians comes to look at the problem, you will get an estimate of the costs and how long it will take to repair your HVAC unit. Not all HVAC companies do this! We just want to be sure there are no surprises and that you know exactly what needs to be fixed and how much it will cost. Call Prescription Heating & Cooling today at (651) 767-2737 or contact us online, and we can help with all of your Oakdale MN HVAC needs. And if you’re interested in a new installation, you can get a free estimate online. We are one of the best HVAC companies in the Oakdale MN area!